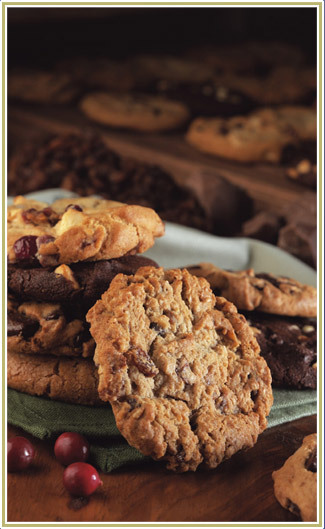 The cookies your customer will come to know and love. 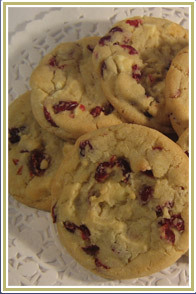 Build your cookie sales around the finest and most delectable cookies available on the market. These gourmet cookies are made with the choicest ingredients, whole eggs, pure cane sugar, pure chocolate and no preservatives. Conveniently packaged in 10 lb cases of pre-weighted IQF frozen cookie portions. Easy to prepare, simply bake the quantity needed and return the unused portion to the refrigerator or freezer. chocolate chunk, oatmeal raisin, milk chocolate chunk, double chocolate chunk, nuts about chocolate, night & day, triple crown, peanut butter, macadamia & white chocolate, white chocolate chunk, lemon & white chunk, cranberry & white chocolate, key lime, ranger, and lemon cranberry. classic oatmeal, oatmeal raisin, oatmeal chocolate chip, oatmeal apple, and oatmeal field berry. 3lb tubs x 8 units per case Available in a wide variety of flavors. 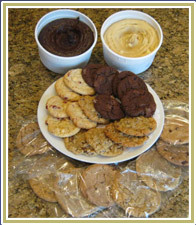 Vacuum sealed to maintain product freshness Enjoy making any size cookie with any of our quality cookie batter. Now enjoy our fabulous cookies right out of the package. Baked to perfection and frozen to maintain all that goodness.